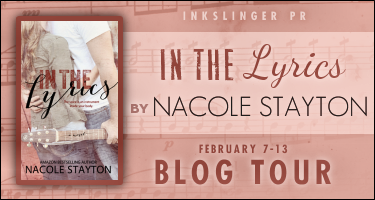 A Life Bound By Books: Blog Tour Review - In The Lyrics By: Nacole Stayton + A GIVEAWAY!!! 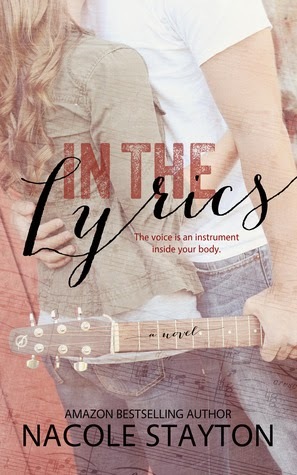 Blog Tour Review - In The Lyrics By: Nacole Stayton + A GIVEAWAY!!! Synopsis: Hensley Bradley is the definition of the girl-next-door. 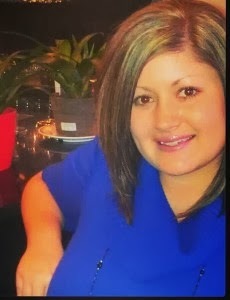 She’s kindhearted, beautiful, and talented. Bored with her mundane life, thoughts of fleeing her small town begin to consume her. With aspiring dreams to use her voice as a one-way ticket, she suddenly discovers that music might not be her only passion. Review: 3 Stars - In the Lyrics by Nacole Stayton is a story of first love, second chances and big dreams. With two characters who find each other when they least expect it, Stayton takes her readers on a journey of change, showing both the highs and lows of their lives before, during and after these two were fated to meet. The two characters who take center stage for this title are Hensley, who’s extremely guarded and has her sights set on achieving her dreams of making it big in the music industry. She has closed herself off to pretty much everyone including any and all chances of a romantic relationship. Colby our second character is looking for more, wanting to live his life to the fullest after tragedy has marked him. It has left Colby knowing he doesn’t want the life his father is setting up for him to take over the family farm. Both characters have issues in their home lives that have created pain and look to follow their hearts and dreams into the world of music. It’s a chance meeting for these two or I’d say that fate was involved. For Hensley taking a chance on Colby has her questioning everything. For Colby he knows she’s worth it. That’s one thing about this book that I was shocked about. Usually there’s a lot of build up to the story before we see any type of romance yet for these two it happened quickly then developed over time. I enjoyed watching their relationship grow and then for me the story kind of hit a brick wall. I didn’t know what was going to happen next to tear these two apart because everything was going just too smoothly for my taste, so when the trouble hit and I guessed correctly I wanted to throw my Kindle down because one of the characters quickly ended up at the top of my hate list. One thing that Stayton does well in this title is how she shows her characters going through all the stages of love, heartbreak and grieving. For me, that was the best part of the book. It was hit and miss for me in connecting with the characters. I wanted to love this title but in the end it was just okay, I liked it. I wasn’t sure what to expect, so I went into this title without any expectations so that was a nice change for me. Colby did warm my heart and I can see him rising up to the status of much loved good guy because that’s what he was, the almost perfect good guy. Which is also a breath of fresh air when there are so many bad boys out there to love, there’s now a pretty amazing good guy to add to the short list. In the end I liked this title. All the stages and the glimpses of emotions these two face. The secondary character, Dusty was also a highlight while reading. Being that this is my first title by this author I am very interested in checking out what else she has published in the future. Fans of contemporary titles and those looking to read about a good guy with a huge heart should without a doubt check this title out. Enjoy! I haven't read a novel by this author yet, but it definitely looks interesting! I haven't read any of Nacole's books yet. This one sounds really good! Thank you for sharing this post and introducing me to a new-to-me author!